The first thing to do would be keyword research and create a list which maps all the keywords to that content present in targeting URLs. The URL /seo-checklist-for-new-website, target keyword would be “SEO checklist” and page title would be “SEO checklist for the new website”. If you have an important keyword which you have not targeted or if you have an URL which you have not targeted then do so. This will help when you do rank tracking and also on your on-page optimization too. Firstly, one needs to check if all the pages and content of the website is accessible to search engines or not. 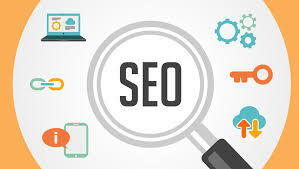 You can use Google search console or OnPage.org to do a basic check on all the pages and make sure that you don’t have duplicate content, that you don’t have pages that have no content at all or you don’t have broken links. All this information is good to have and fix them if you do find any issues before making the website live. And now, whether the content is easily accessible to audience i.e., human beings or not, which you need to check in various devices, browsers and countries. You would want to check the website if everything is working as expected in browser checker to make sure Chrome, Firefox and Microsoft Edge works well with your website. Do all the pages load faster everywhere? Well use Google speed test or you can also use some proxy checking to check if all the pages load properly across all the regions or not, especially if you are targeting rural audiences or international market. Web Analytics: Google analytics is free and popular, you can also use Piwik. Uptime Tracking: If your site goes down, then it affects SEO, so try using Pingdom or some other tool to track Uptime. Google search console: This one will help you in tracking crawl errors or accessibility issues. This also gives detailed information of trending keywords, clicks and impressions for keywords in your site. Social & Web Profiles: Setup social and web profiles across all the platforms and claim the branding. Using Open Graph, you can dictate how the content metadata has to be shown in Facebook, Google, Twitter, LinkedIn and other social media’s. Also, using schema tags, it would be good for content search opportunities, image search, and rich snippet opportunities too. Using this would help in getting better ROI. Once you have done all the above-mentioned things, the next thing you would want is who would promote your website link among the best audience for your website. Hope this post helps in setting up your website.